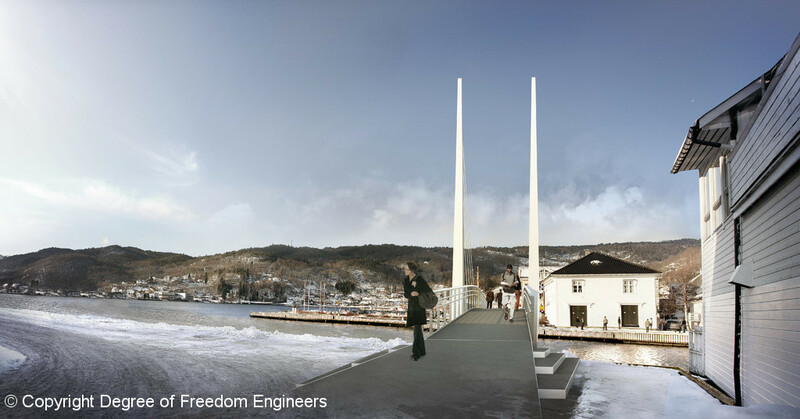 SEA-Site Engineering Assistance collaborated with DOF Engineers in the construction details phase of the project Flekkefjord Bascule Pedestrian Bridge in Norway. 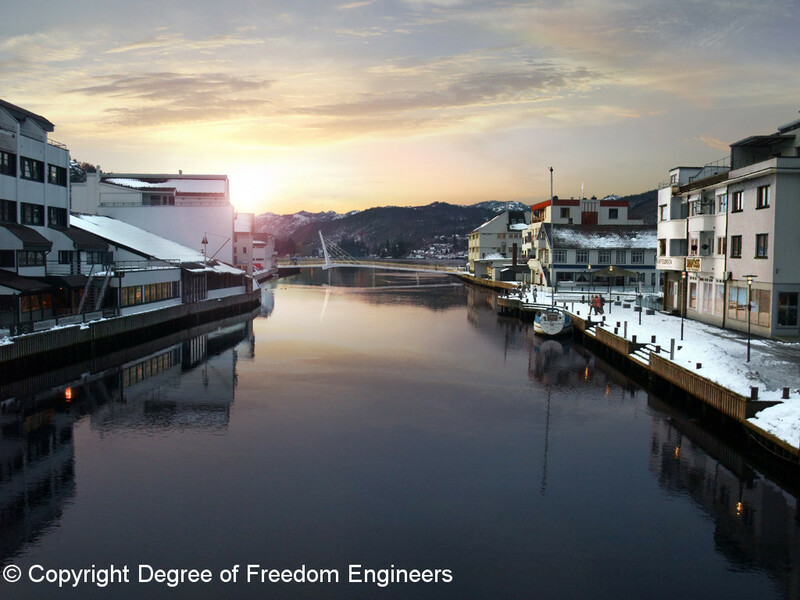 The steel bridge, 54 m long, crosses the Flekkefjord canal in four, approximately equal spans. One central span is a bascule bridge creating a 12 m wide clear sailing channel in the open position.